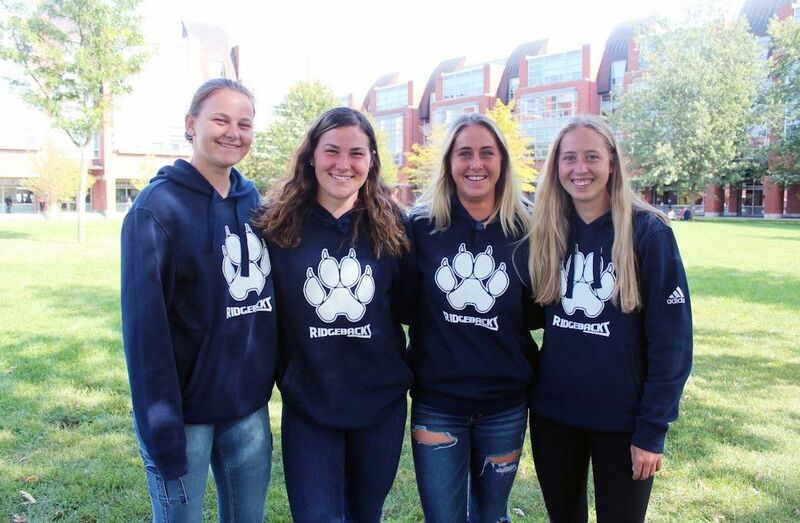 If having success and family together on a university sports team is considered rare, the UOIT Ridgebacks women’s soccer team have created something very unique. Allison and Kaitlin Lantaigne along with Olivia and Mikaela Tierney defy the odds and compete together for the No.2-nationally ranked Ridgebacks, but this dream didn’t just happen overnight. For years both sets of sisters cheered for their siblings on and off the field for different reasons. When I was little I always went to her games to watch (so I can) improve how I play. Every single game I was there watching her play, see how she plays around people and how her team plays to adjust to my playing style. Allison, a rookie defender with the Ridgebacks, looks up to her older sister Kaitlin for advice because they both play the same position. Kaitlin wouldn’t be looking for ways to improve herself by watching Allison, but rather she would be proud of her little sister using the moves she taught her. Going to watch her and see her do a little tackle or defend herself on the field and I’m telling everyone on the sidelines that I taught her that. Then when she got in the car, I’d remind her that it was definitely me teaching her that in our backyard. Even while playing at the same competitive level, Allison still looks for ways to improve herself by watching Kaitlin, and Kaitlin still appreciates it when Allison uses a tip that she had taught her. Allison has appeared in three games this season for the Ridgebacks while older sister Kaitlin has appeared in all five wins. Unlike the Lantaignes, the Tierney sisters started playing different positions recently. Olivia is a goalkeeper and Mikaela is a midfielder. Olivia made the change four years ago when her high school team was in need of a goalie and she had previously played as the backup on multiple occasions. Basically, I decided to step up to the plate, try it out and see how it is. I ended up liking it and I’m good at it so I stayed. Although the sisters were not able to give positional on-field advice for each other, they were able to motivate one another off the field through their recent injury struggles. Both sisters recently tore their ACL. Olivia is still recovering, but Mikaela suffered her injury last year. During that period, she learned how to process and prepare for getting back on the field as quickly as possible. “I think it’ just the whole confidence thing, You lack a lot of confidence and you don’t want to tackle because that’s how you’re going to get injured again. I had to take (Olivia) through the steps and tell her that if you’re scared you’re going to injure yourself again. This is Mikaela’s third season with the Ridgebacks and her first season as captain, scoring her first goal of the season on Saturday, against the University of Toronto Varsity Blues at Varsity Stadium. Olivia is expected back on Sept. 18, hoping to play her first game of the season when the Ridgebacks travel to Kingston, Ont., five days later to take on the Queen’s Gaels in a rematch from last seasons’ U SPORTS bronze medal and OUA Championship matches. 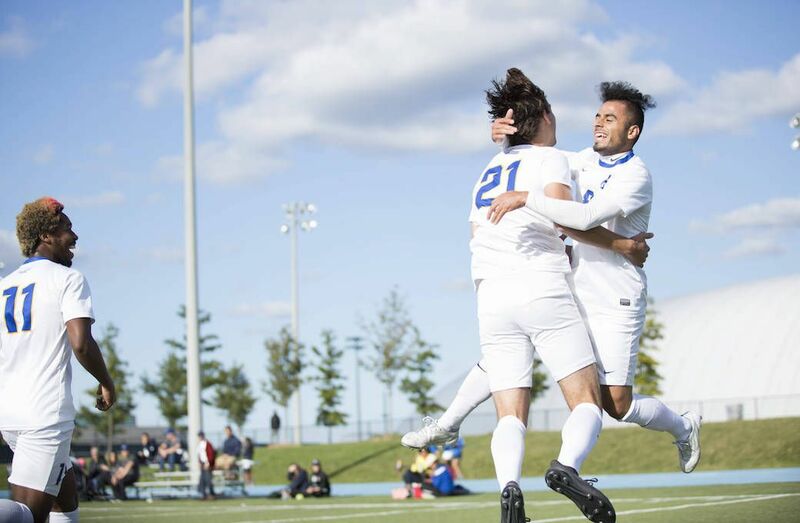 Both games were won by UOIT last season. This season’s expectations are higher, as they look to recapture the OUA title and contend for a U SPORTS banner.